Most people brush regularly, but studies show that up to 50% of Americans don’t floss daily. There are a number of reasons why people don’t floss, but one of the biggest ones is they believe they don’t have the time. Flossing literally takes two minutes of your day, which leaves you with another 23 hours and 58 minutes for all of your other tasks. There are ways to make more time to floss. If you get up at 7am every day, why not set the alarm for 6:58? You won’t notice those two lost minutes of sleep, but over time your teeth will notice the two minutes not spent flossing. We all need time to rest and television is the perfect mindless way to zone out. Since your hands are free, spend two minutes of your television time flossing your teeth. While you may believe you don’t have time to floss, if you make it a habit and a part of your daily routine, you won’t even notice the extra two minutes. It takes 66 days to make something a habit, so if you can give yourself reminders every day to do it for the next two months, you’ll be golden. 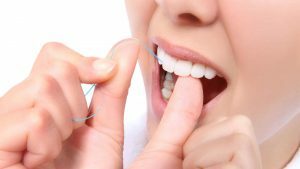 If flossing means the added steps of finding the floss or going to get it, just that little step alone might stop you. Make it really easy not to have that excuse and supply yourself with floss everywhere – put it in your desk, in the coffee table drawer, on your nightstand and of course, in your bathroom. Many people find flossing oddly soothing so doing it while lying in bed before you go to sleep may have many benefits. Not only will your teeth be fresh and clean while you sleep, but it may actually help you get off to slumber-land. 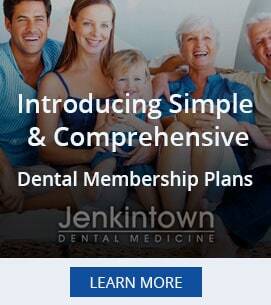 If you need help learning the proper way to floss, let the experts at Jenkintown Dental help you. Our Elkins Park dental services takes care of many in the surrounding communities!